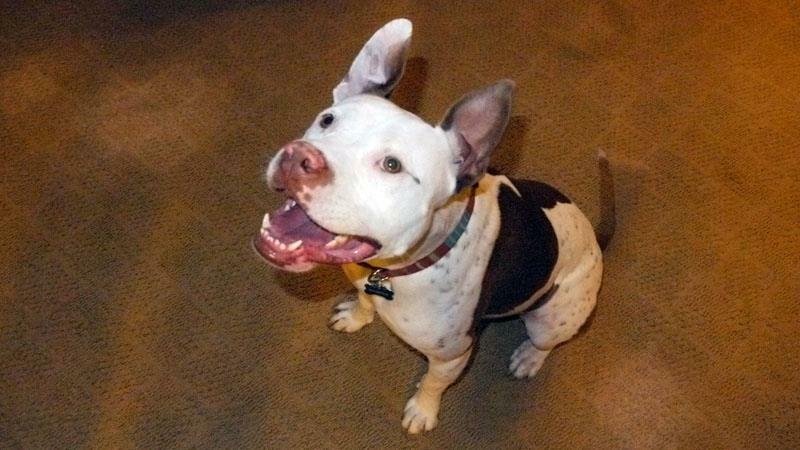 This entry was posted in Dogs and tagged dogs, Hiking, pit bull, rescue by hikenoworklater. Bookmark the permalink. I am SO GLAD you opted to adopt a Pit Bull ! I did the same unexpectedly last year and that is the topic of my blog. He is pretty athletic as well and was my running partner, but cruciate ligament damage has made us scale back on some activities. It is a very common problem in bully types I have since found out. Enjoy your new family member! Thanks for the information about cruciate ligament damage, I started doing some research on it and definitely need to do a little more as Dakota is so active. Do you have any suggestions for preventative care? Wow – so hard to pinpoint as you know our breed is so boisterous! But I would definitely do Chondroitin, and also 1000 mg fish oil (can be the type for humans). I really hate to curb any play, but avoid large drop jump jumps or extreme jumping up. And you might ask your vet when you next go in to just palpate your pit’s knee region. Mine could tell just from feeling around that something was wrong….no X Ray was needed. Best of luck! Oh – and weight management helps as well. Ca$h was very ‘healthy ” if you know what I mean and we dropped 3 pounds….